We believe in helping women be as confident as they possibly can. Why? Because confident means empowered, and when you are empowered, it means you can reach bigger goals. But we get that you are so busy trying to conquer your own world, that you don't have the time to spend buying every new trendy thing that comes out and having your closed end up full of things that DON'T spark joy (Thanks, Marie Kondo). So we want YOU to create your own style. The look that will make you feel like a million bucks, with timeless trends that are totally flattering and that you can use again and again, no matter the season. Because we want you to look ABSOLUTELY incredible, no matter your body type. Social Hour Style is women’s clothing apparel & accessories, selected to provide timeless, trendy styles to sizes S-3X. Tara Klocke, owner of Social Hour Style, started her endeavor because of her love for fashion and goal to create a unique opportunity to dress her customers in hot trends, while accentuating their own unique style when doing so. 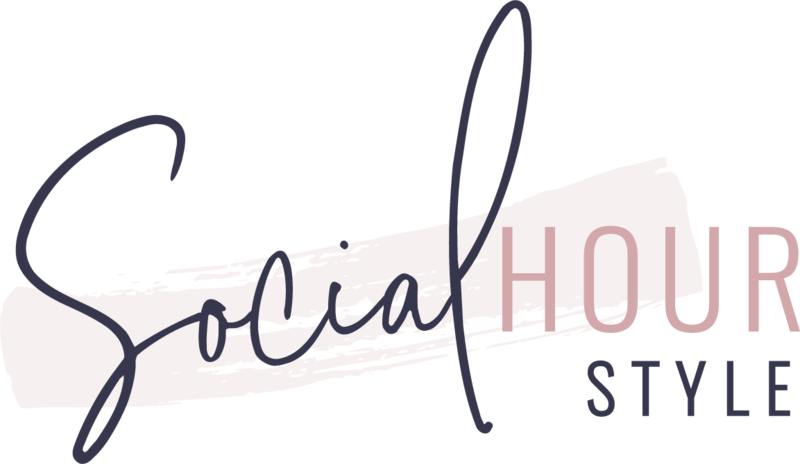 Social Hour Style strives to bring you versatile options at affordable prices, showcasing styles that will take you through multiple seasons and multiple trends to ultimately make the most out of your wardrobe. Please contact us for personal style consultations to assist in picking out the perfect outfit for you for any occasion, and our stylist will fit you with the perfect outfit from head to toe. We are also available to answer any questions on fit and WELCOME any and all feedback to provide you with the best products and service possible.